THA is governed by a five-member Board of Commissioners which establishes policies, approves budgets and provides general direction to the THA President / Chief Executive Officer and Executive Staff. 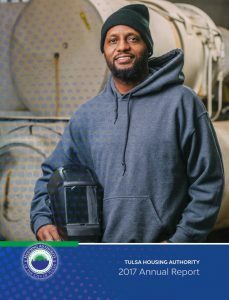 The Housing Authority of the City of Tulsa is the second largest Public Housing Authority in Oklahoma and holds the U.S. Department of Housing and Urban Development (HUD) rank of High Performing Agency. THA provides publicly assisted housing comprised of traditional public housing, mixed finance sites and Section 8. Currently, THA provides assistance to more than 20,000 individuals, or 7,200 families.